This project addresses an existing gap in knowledge and skills within the rural population regarding IT. Training has been organised, in order to support farmers and foresters to build competency in basic IT skills as a farm management tool. The project addresses issues related to limited knowledge on IT within the rural population through provision of training. This is targeted towards persons working in the farming and forestry sectors that want to improve their IT skills. The new knowledge should help them to streamline and improve the methods and methodologies applied to run their farming operations. The project aims to improve the aquisition of skills of farmers and forest holders that will support the restructuring and modernization of agricultural enterprises and increase their competitiveness and profitability. Workshops have been organised with sessions of groups consinsting of max. 20 people. 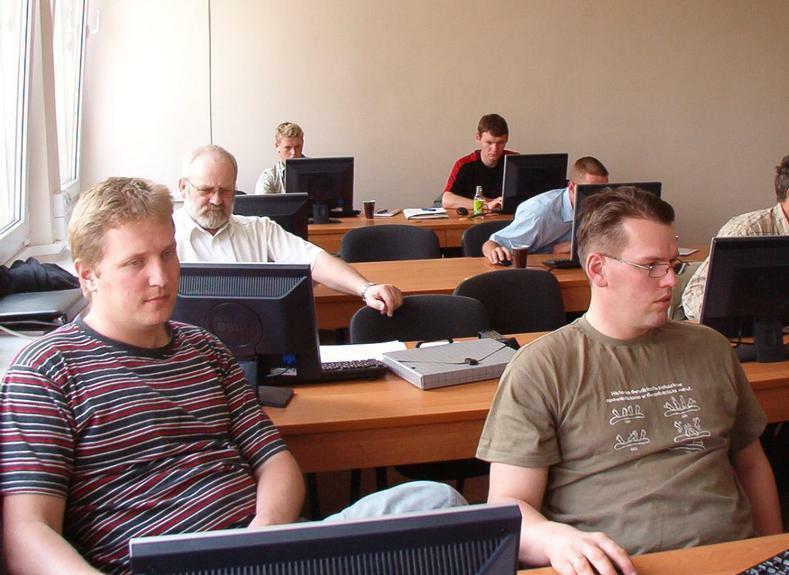 Both theoretical and practical aspects of working with computers have been taught. Specific topics included: 1) Overview of programs in the area of crop production, animal husbandry and agricultural economics (including preparing business plans); 2) Presentation of programs that facilitate farm management, including conducting accounting; 3) Learning self-use computer programme for farmers; 4) Using Internet. The main result of the project is the training of 11.100 farmers and foresters in computer and Internet use to spport farm/forest management operations.Participants received training materials and certificates of completion of training. The workshops singinficantly helped them to improve the application of IT and Internet in farm management. The content of the training appeared to be adequate to the needs of farmers and foresters. The training target group was specifically farmers. Given the irregular working time intervals, the training programme had to be adjusted to their working schedule. In many cases, the positive results of the training induced the farmers to purchase a computer and install internet in the farming households.